Body Toning Studio is a fitness company based in Hong Kong, specializing in Power Plate Training, and other workout regimens. We worked together to design their web banners. 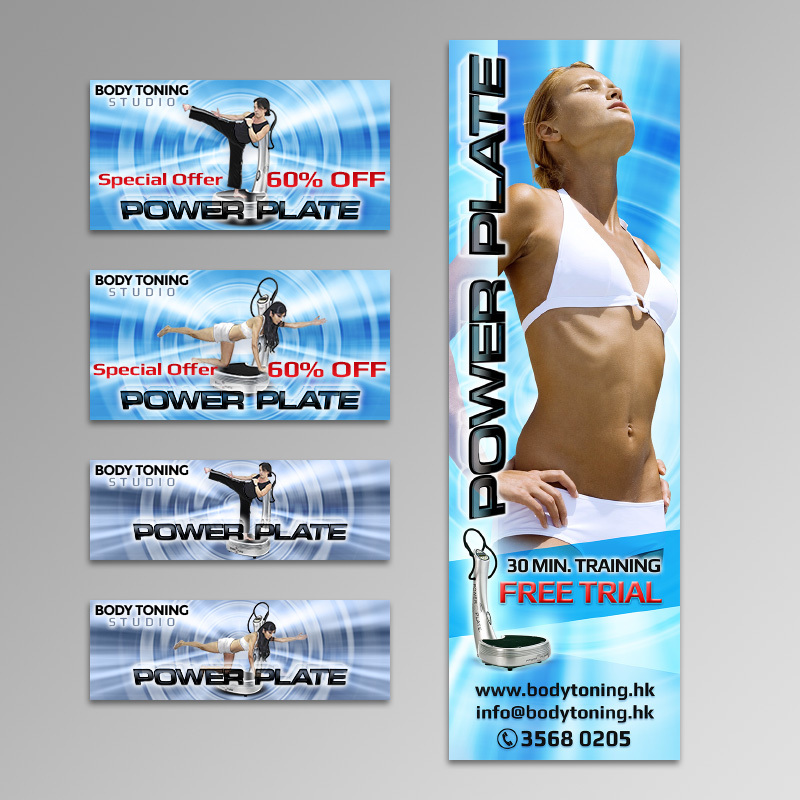 Samples of web banners in various sizes.